Presenting this exotic design white colored artificial thewa necklace set styled with sparkling stones & pearl beads. 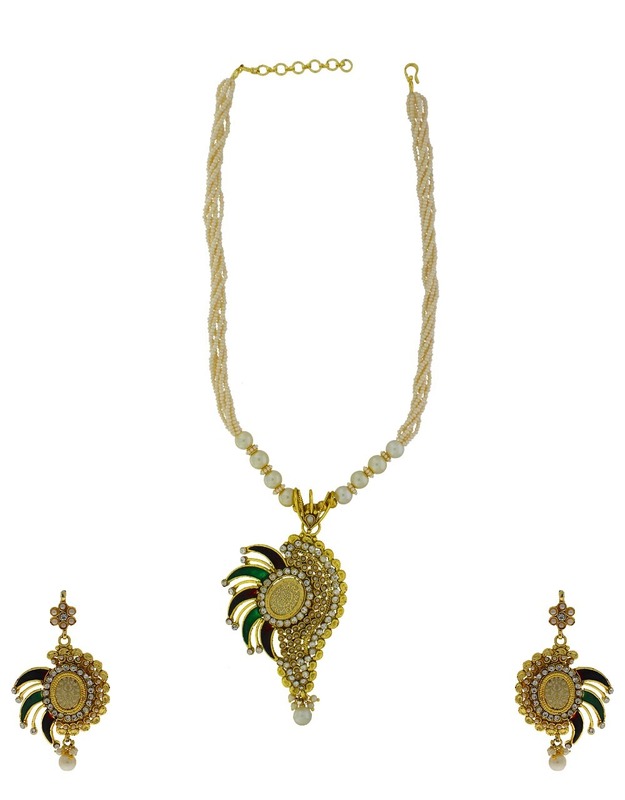 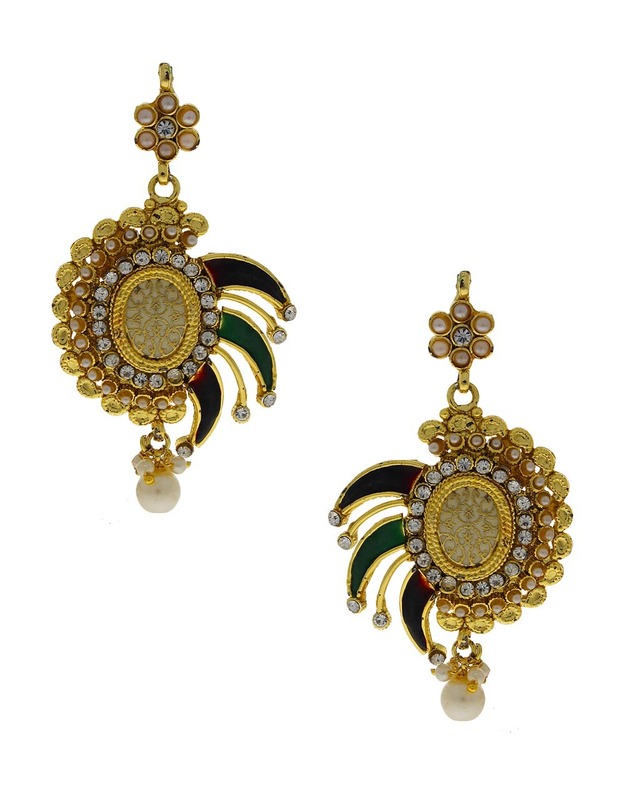 This set feature intricate carving design on enamel work & has white colored drop for added attraction. 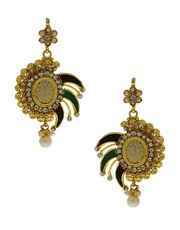 It is perfectly fashioned from golden polished metal & will look good when club with saree.